The Spokane Symphony takes you on a musical tour of the Americas, featuring 'Symphonic Dances from West Side Story', a symphonic soccer game between Brazil and Mexico, and more, this Saturday, January 25 at 8 pm and Sunday, January 26 at 3 pm at Martin Woldson Theater at The Fox. Taking the audience to crowded Mexican dance halls, a soccer game and into the world of traditional Indian folk music, this concert is all about national pride South of the border. But there is another element to this performance in which the Symphony takes personal pride: the solo debut with the Symphony of Ross Holcombe, Principal Trombone. Ticket prices for either performance begin at $15 and are available with in advance at the Box Office at Martin Woldson Theater at The Fox, 1001 W. Sprague, or by calling 509-624-1200. Tickets may also be purchased online at www.spokanesymphony.org. Tickets are also available at TicketsWest at www.ticketswest.com or 800-325-SEAT. The 2014 Spokane International Film Festival is this Thursday, January 23 through Saturday, February 1 at the Magic Lantern, The Bing, AMC River Park Square, and the Garland. The SpIFF 2014 Opening Party will be at Simply Dance Studio at 820 West Sprague, this Friday, January 24 starting at 8pm. Admission requires a 2014 ticket stub or Festival Pass. For a complete listing of films, special events and tickets, visit spokanefilmfestival.org. This Friday and Saturday, January 24-25, Northern Quest Resort and Casino present the Semi-Final and Final Rounds of the 2014 USA National Boxing Championships in the Pend Oreille Pavilion. For tickets and information call the Northern Quest Box Office at 509-481-6700 (toll-free 877-871-6772) or go to northernquest.com. Spokane's big high school spirit games between rival teams are at the Spokane Arena next week. Rubber Chicken, between Lewis & Clark and Ferris, is Tuesday, January 28. Groovy Shoes between North Central and Shadle, is Wednesday, January 29. And Stinky Sneaker between University and Central Valley, is Thursday, January 30th. All games start at 3:45 at the Spokane Arena. Besides great high school basketball, these games show tremendous school spirit. Tickets are $6 a the door. The Connoisseurs' Club at The Lincoln Center has teamed up with Stone Brewing Company to present an incredible 5-course beer paired dinner, this Friday, January 24, from 6 to 10pm. Enjoy food, drink and fun with 'Dr.' Bill Sysak from Stone Brewing Company. For more information visit thelincolncenterspokane.com or call 509-327-8000. Buy your tickets at www.eventbrite.com/e/stone-beer-dinner-tickets-9538292289. Comprised of drummer Danny Carey, guitarist Adam Jones, vocalist Maynard James Keenan and bassist Justin Chancellor, Tool is known for their live performances and ability to blend musical experimentation and the visual arts. The winner of three Grammy Awards, including Best Metal Performance in both 1998 and in 2007, Tool has released 4 full-length studio albums, all to critical acclaim. Tool performs live at the Spokane Arena on Tuesday, March 4. Reserved Seat tickets are $49.50, $65.00 and $75.00 and go on sale Saturday, January 25 at 10:00am at the Spokane Arena Box Office, all TicketsWest Outlets, at www.ticketswest.com or 800-325-SEAT. Coeur d'Alene Summer Theatre has two big performances at the Kroc Center, 1765 W Golf Course Road (at Ramsey) in Coeur d'Alene this summer. 'My Fair Lady,' one of the great musicals of all time, runs July 10th-27th. And the 'Addams Family,' a recent Broadway hit, runs August 7th through 24th. The revived theatre company, under the direction of Laura Little, will present shows at the 400 seat Kroc Center, having moved from North Idaho College. Season tickets are now on sale for its inaugural season in the new location. Go to www.cdasummertheatre.com for more information and to order your tickets. Joe Fontenot and Daryl Burns will make you laugh out loud this Friday & Saturday nights, January 24-25 at 8 at Uncle D's Comedy Underground, located at 2127 N. Market (at Illinois street) upstairs at Bluz at the Bend. For reservations call 509-483-7300. Styx, a popular American rock band from Chicago Illinois, that became famous for its albums from the mid 1970s and early 1980s is coming to Northern Quest Resort and Casino Saturday night February 1 at 7:30 pm. The band is known for melding the style of prog-rock with the power of hard rock guitar, strong ballads, and elements of international musical theatre. The band has four consecutive albums certified multi-platinum as well as sixteen top 40 singles in the US. For tickets call the Northern Quest Box Office at 509-481-6700 (toll-free 877-871-6772) or go to northernquest.com. Spokane AIDS Network will host the '16th Annual Oscar Night Gala,' an evening of frivolity featuring a live Academy Awards telecast and auctions to benefit SAN at the Northern Quest Resort & Casino on Sunday, March 2. Celebrate Hollywood's biggest night at this black-tie affair and support the Spokane AIDS Network. With the Live Academy Award telecast, 3-course dinner, live and silent auctions featuring local and one-of-a-kind Hollywood items, this event is one not to miss. 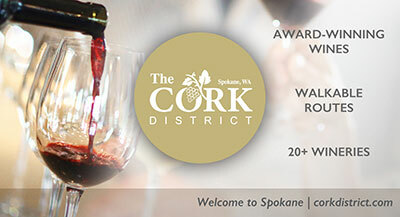 This event is Spokane's most unique and popular fundraiser, benefitting SAN's direct client services and prevention programs. The event will begin at 5:00 pm. Doors open at 4:30 pm. A gourmet 3-course meal will be served at 6:30pm. Admission is $125. Admission donations are tax deductible. 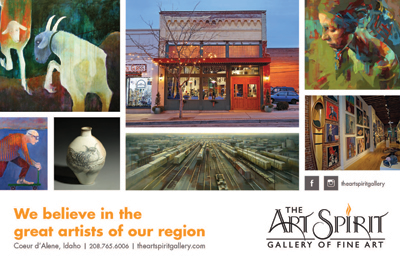 Tickets are available online at www.SpokaneAIDS.org or by phone at 509-455-8993.